Join us every Wednesday at 11:00am! Songs and Stories is an opportunity for kids under the age of three to experience live music in a fun, engaging, and interactive group environment. Participants will have the opportunity to sing and dance, play musical games, learn songs, and watch professional musicians up close. Classes will also include kids books accompanied by music and song! Contact the front desk to schedule a class. 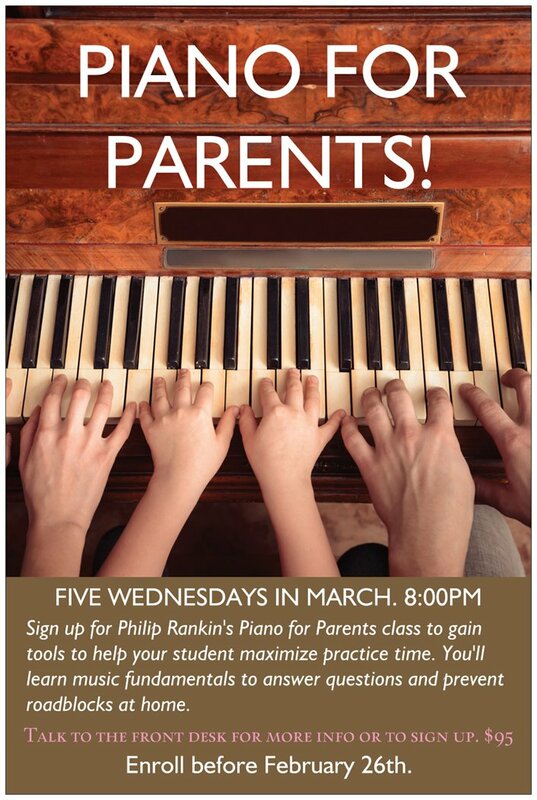 Free lessons for Parents in November!